We caught up with past Contessa winner, Tony Ricci, to find out how his wins have impacted his career, and what he’s been up to these days. Contessa Record: Winner of the most awards for Canadian Hairstylist of the Year (2011, 2014, 2015, 2017). What do you remember about your first Contessa win? It was quite shocking, and a life-changer. It was in all of the newspapers in Edmonton, and the phone was ringing off the hook.What was your most memorable Contessa win? In 2011, I won four Contessas—Elite Master, Canadian Hairstylist, Salon Team and Alberta Hairstylist—in one night. That was pretty memorable. I felt like Michael Jackson (laughs). gets you some of the better photographers. I’m excited about my role as artistic director for Flow, which is a Canadian company. 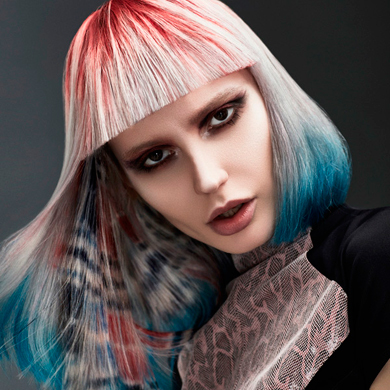 My goal is to really showcase Canadian hairdressers and put them at the forefront. From your experience, what can a Contessa win do for someone’s career? I think my whole career grew from the Contessa wins. I ended up opening up three salons, so it grew my business; with staff wanting to work for me, and clients wanting to work with me. Also, I’ve done platform work for L’Oréal Professionnel and Kevin.Murphy, and now I’m artistic director for Flow— that’s all from the Contessas. People see your work and you get recognized, so manufacturers want to work with you. And it’s not only the wins that are important, but you get better as a hairdresser. It can do just about anything. Are there any Contessa categories that you’re still hoping to enter and win?I usually only enter one category: Canadian Hairstylist of the Year. I just think that’s the most important one and the biggest one. Being Canadian Hairstylist of the Year says it all to me.